I am back off of my hols and back to reality!! Do you ever get the holiday blues? I really do when I come back from holiday. I think it is because I relax so much and I am always on the go back at home, so I really find it hard to get going again especially when the weather is 15 degrees lower!!! Now from 32 degrees of sunshine to Christmas!! How did that happen???? Can you believe we are less than 8 weeks away from Christmas, where has this year gone? 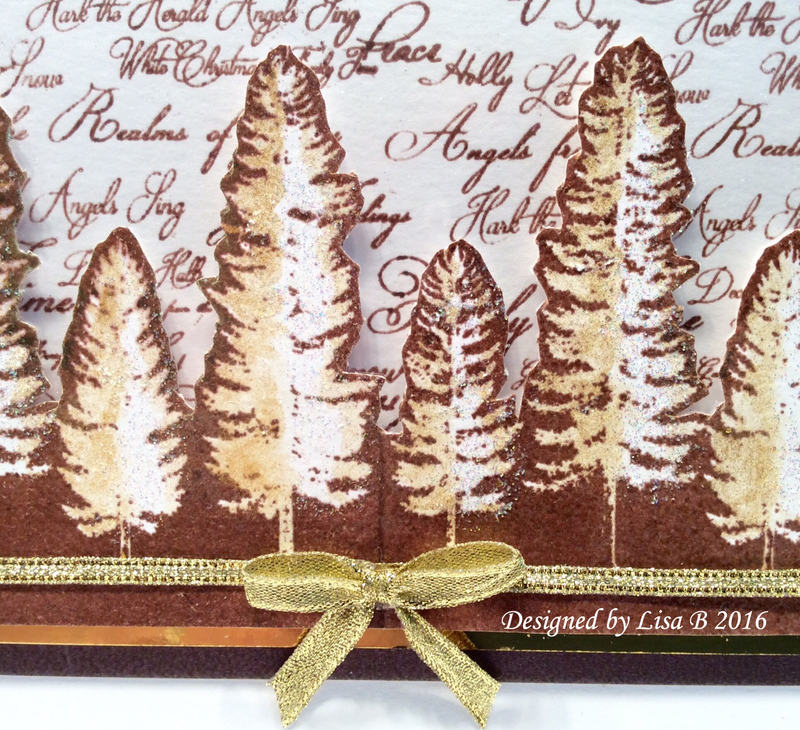 Below is another sample that I made using the gorgeous Imagination Crafts Pine Trees Art Stamp. Unfortunately for this card, I got too carried away and forgot to take any photos as I made it, so I will explain. I used a 7" square card for my base and cut two 5" x 7" border strips of white card, I also cut the same size border out of acetate to. 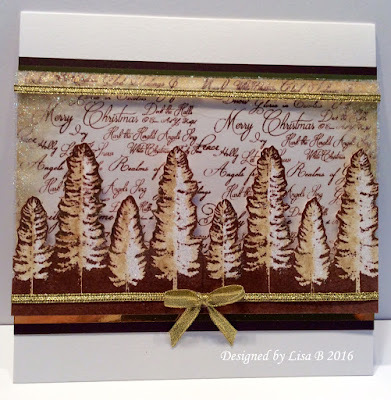 Using Versafine Vintage Sepia, I stamped the Imagination Crafts Christmas Script Stamp randomly over the back of one of the pieces of card and embossed it with Wow Sparkle Embossing powder. I added some Antique Linen Distress Ink around the outside of the stamped script piece and then cut two matting layers to go behind it, one in gold and the next in brown. I then matted them up and attached them to the centre of the card. When it was dry, I attached the trees to the acetate panel with Cosmic Shimmer Glue, turned it over and added some Diamond White Sparkle Medium to the back of the acetate around the outside top and sides. Kirsten and I are off to the NEC Birmingham today getting ready for the Hobby Crafts and Stitch Show from 3rd to the 6th November. 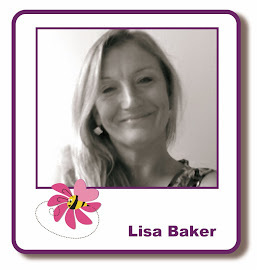 We are working on Imagination Crafts Stand A16, so if you are planning on coming along, then pop by and say Hi. 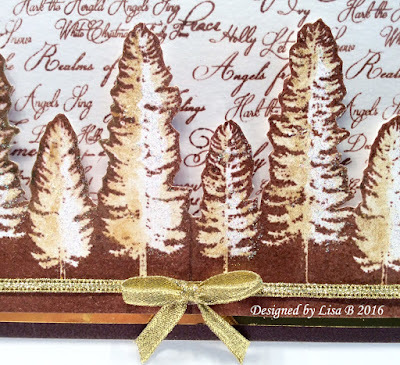 Gorgeous card, I love the extended trees.